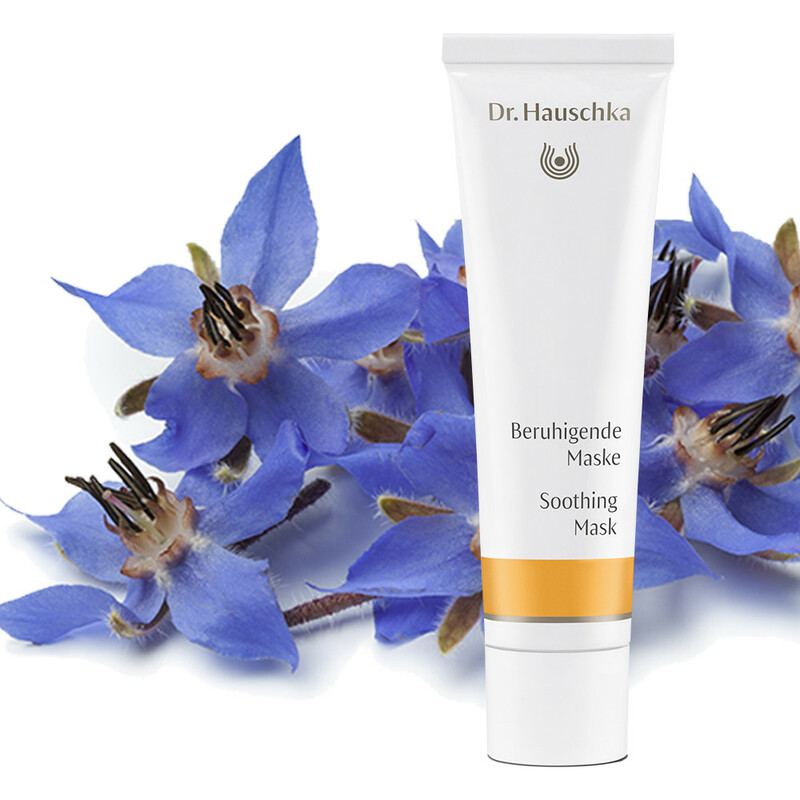 Dr Hauschka Soothing Mask is ideal for irritated or stressed skin. It calms and supports the skin with healing plants including Borage, Buckwheat and Mullein. Additional care for sensitive skin is a must, especially when the weather turns colder. Daily moisturisers and oils help to cleanse, protect and nourish the skin, whilst a weekly mask will rebalance, hydrate and sooth, for the ultimate regime. Dr Hauschka Soothing Mask is perfect for irritated or stressed skin, it calms and supports the skin using healing plants including Borage, Buckwheat and Mullein. Irritations will be soothed, and redness reduced, leaving skin feeling healthy and radiant. Quince Seeds and Witch Hazel fully hydrate, whilst Shea Butter, Macadamia and Coconut Oil nourish and protect. The ultimate pick-me-up for sensitive skin! Skin Type: Perfect for sensitive, irritated and stressed skin. Application: After cleansing and toning, generously apply the mask onto your face, (including eye area), neck and décolleté and remove after 20 minutes with warm water. Use 1-2 times per week. Tip: For skin that is particularly sensitive or prone to redness, apply a small amount of Soothing Mask prior to your regular day cream. Ingredients: Water (Aqua), Hamamelis Virginiana (Witch Hazel) Leaf Water, Pyrus Cydonia Seed Extract, Cocos Nucifera (Coconut) Oil, Butyrospermum Parkii (Shea) Butter, Alcohol, Glycerin, Macadamia Ternifolia Seed Oil, Helianthus Annuus (Sunflower) Seed Oil, Beeswax (Cera Alba), Anthyllis Vulneraria Extract, Chamomilla Recutita (Matricaria) Flower Extract, Arachis Hypogaea (Peanut) Oil, Cetearyl Alcohol, Simmondsia Chinensis (Jojoba) Seed Oil, Bentonite, Prunus Armeniaca (Apricot) Kernel Oil, Alchemilla Vulgaris Extract, Borago Officinalis Extract, Polygonum Fagopyrum (Buckwheat) Leaf Extract, Verbascum Thapsus Extract, Fragrance (Parfum)*, Linalool*, Citronellol*, Geraniol*, Limonene*, Farnesol*, Benzyl Benzoate*, Eugenol*, Citral*, Benzyl Salicylate*, Coumarin*, Xanthan Gum, Lysolecithin.